Usually, I like to think, I’m a relatively measured, temperate commentator on Israeli current affairs, the Israel-US relationship, and the state of the global Jewish nation. Today, forgive me, I’m just ashamed, infuriated and worried. What if someone were to substitute “Jews” for “Arab voters”? How would we all feel about that? That’s what he chose to post on his Facebook page, 10 days after Barack Obama, the first African-American president, had walked with his family at the head of a march in Selma, Alabama, highlighting the decades of struggle and the sacrifices made in the cause of full equality for all Americans? 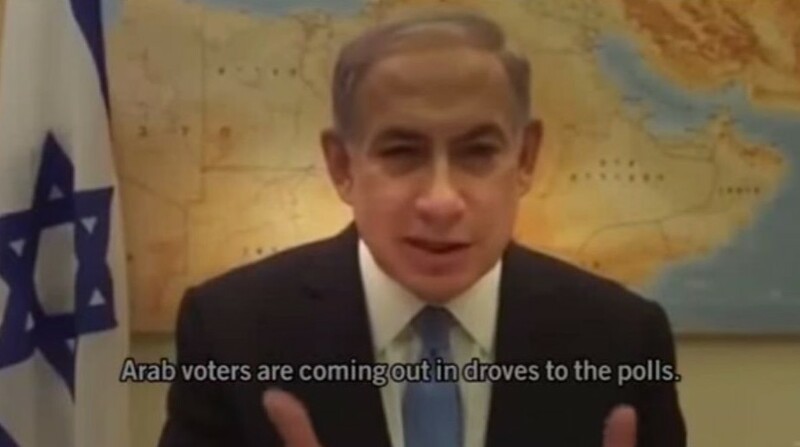 Netanyahu has always been a divisive politician. He has always whipped up sectors of the population against each other, scorning the left, patronizing the doves, mocking his political rivals — all the way from Yitzhak Rabin (for having ostensibly fallen on his head in lumping Hamas and Likud together as opponents of the peace process) to Isaac Herzog and Tzipi Livni (for their ostensible readiness to capitulate to all Arab demands). Victory assured, Netanyahu promised during a visit to the Western Wall on Wednesday that he would strive to ensure “the welfare and security of all Israeli citizens.” Really? Even those who moved in their vast numbers to the polling stations in their failed effort to oust him? If so, he now faces an immense uphill battle to convince them of his good intentions, a battle we all share an interest in his winning. It’s hard to reconcile that assurance with an emerging US-led deal with Iran that would leave the ayatollahs — declaredly bent on the elimination of Israel — with thousands of centrifuges spinning, an inadequate inspections framework, and a demonstrable lack of international will to respond to the inevitable violations of the accord. The president might be understandably aggrieved by Netanyahu’s decision to publicly lobby against the deal in Congress. The president might be horrified that the most potent opposition to his bid to woo Iran — which he pursues undeterred by the frequent slaps in the face delivered to him by Ayatollah Ali “Death to America” Khamenei — is being mustered by the arrogant prime minister of that tiny Middle East ally/irritant. But the president who promised that containment was not an option is presiding over an effort to contain an unrepentant, unreformed Iran. And Israel is not the only country that faces a consequent grave danger. Furthermore, for all that Netanyahu took the wrong steps to try to encourage Palestinian moderation — releasing dozens of murderous terrorists, rather than agreeing to negotiate on the basis of the 1967 lines and to at least declare a freeze on the expansion of isolated settlements — the president’s response to Netanyahu’s latest flip-flopping on Palestinian statehood is also infuriating. Is it truly so outrageous, so unacceptable to assert that now and the foreseeable future might not be the best time for a country nine miles wide at its narrowest point, on the western edge of this hostile land mass, to relinquish the contested territory from which it has been relentlessly attacked in the past? Just like his counter-those-Arab-voters comment on Tuesday, Netanahyu’s “indeed” I won’t preside over the establishment of a Palestinian state remark a day earlier was plainly an electoral tactic, and a similarly effective one, at that. 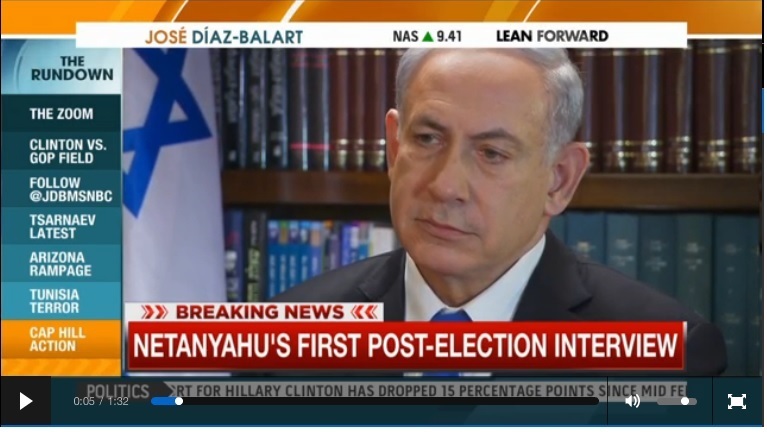 But unlike the incendiary Arab voters statement, there was legitimate substance behind it, substance that Netanyahu has repeatedly detailed and that Obama has insistently failed to internalize. 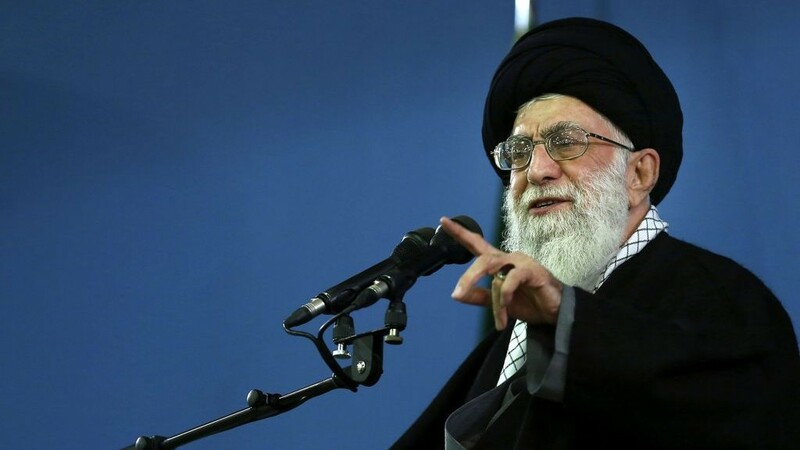 The Middle East is reeling under an onslaught of Islamic extremism, with Iran the chief state patron of terrorism, and a dizzying number of organizations competing to out-horrify with mass killings, beheadings, and every conceivable abuse. Is it truly so outrageous, so unacceptable to assert that now and the foreseeable future might not be the best time for a country nine miles wide at its narrowest point, on the western edge of this hostile land mass, to relinquish the contested territory from which it has been relentlessly attacked in the past? 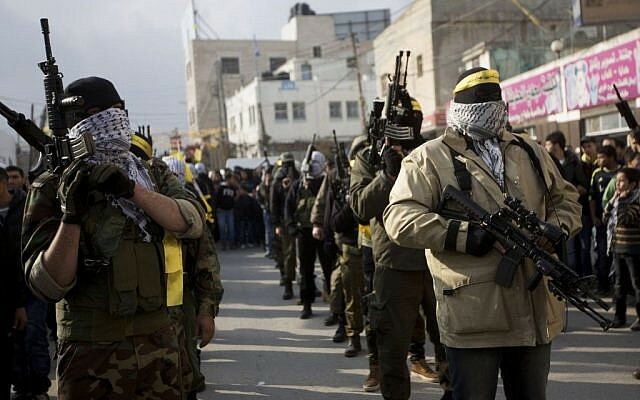 A Palestinian state today, Netanyahu continued, “would become a terrorist state. 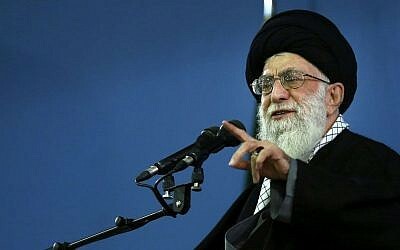 Iran says that they will arm the West Bank the way they arm Gaza. We withdrew from Gaza. We got — just a few months ago; not ancient history, but a few months ago — thousands of rockets, Andrea, on our heads… We don’t want it to happen again. And I think the administration has said time and time again that the only way to achieve peace is a negotiated solution. You can’t impose peace. And in any case, if you want to get peace, you’ve got to get the Palestinian leadership to abandon their pact with Hamas and engage in genuine negotiations with Israel for an achievable peace. We also have to make sure that we don’t have ISIS coming into that territory. [Islamic State is] only two dozen miles from our borders, thousands of miles away from yours. So we need the conditions of recognition of a Jewish state and real security in order to have a realistic two-state solution. These are not outlandish arguments. Abbas has not offered or accepted peace terms that would guarantee military and demographic security for Israel, and is formally partnered in government with Hamas, which seeks to destroy Israel. Hamas did oust Abbas from Gaza in 2007 after Israel, under international pressure, withdrew in 2005. Hamas built a war machine there, relentlessly attacks Israel, and seeks to take over the West Bank. 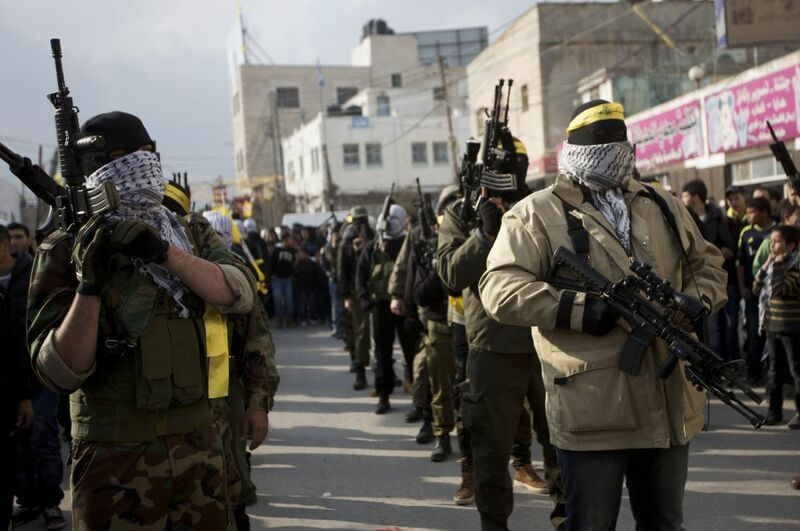 Iran is vowing to arm West Bank Palestinians. Hezbollah took over south Lebanon after Israel, under international pressure, withdrew in 2000. Islamic extremist groups are fighting on the Syrian side of the Golan border. 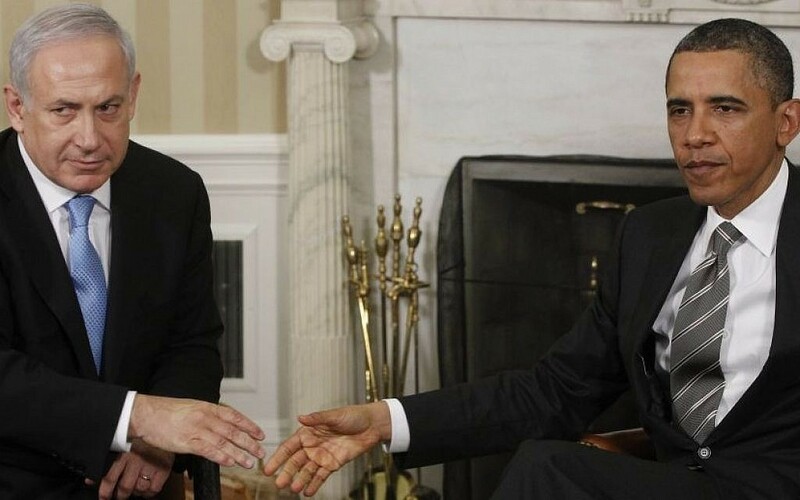 Has Obama spent the last few years telling the world, in light of Abbas’s alliance with Hamas, in light of Abbas’s failure to respond to former prime minister Ehud Olmert’s 2008 peace offer, in light of Abbas’s despicable charge of genocide against Israel from the UN General Assembly podium last fall, in light of Abbas’s repeated denial of Israel’s historic connection to the Temple Mount, and in light of the relentless encouragement of terrorism by Abbas’s Fatah group, that the US will have to “evaluate what other options are available” because “it is going to be hard to find a path where people are seriously believing that negotiations are possible”? Has he? Not that I’ve noticed. One last vent, before I attempt to return to a more constructive mode. Where, the day before, was the determined use of all of modern technology’s means of communication to counter Netanyahu’s rejection of Palestinian statehood with the reminder that some kind of accommodation with the Palestinians is crucial to Israel’s future as both a Jewish and a democratic state? Where was the vehement voice of the Israeli center-left, pledging to do its utmost to create conditions in which progress might eventually be possible with the Palestinians, while simultaneously maintaining an iron commitment to Israel’s security? Herzog might ask himself all of that, but it’s beside the point now. 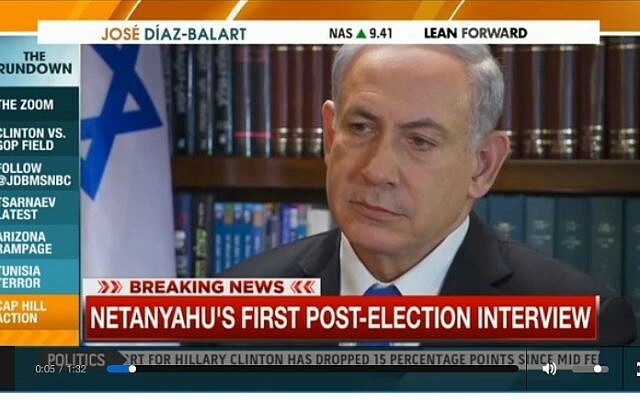 He proved no match for Netanyahu. 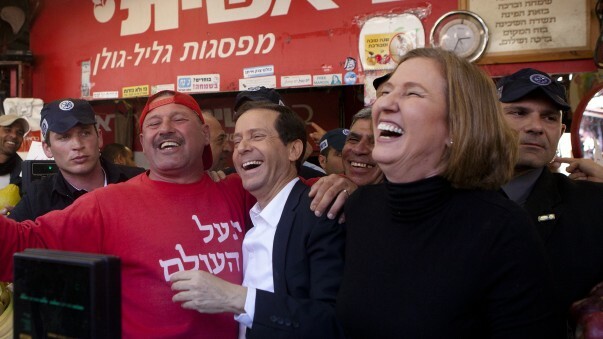 The center-left’s search for a new Yitzhak Rabin will have to start over. 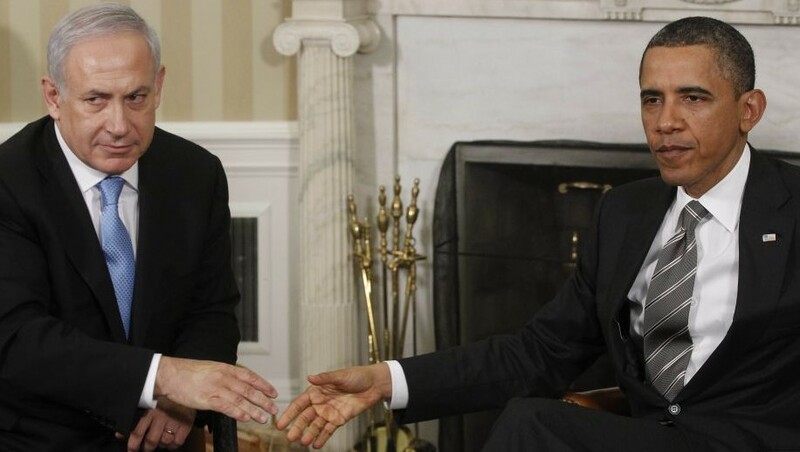 What is relevant, what is urgent, is rebuilding ties with the United States. Netanyahu may be delighting in the knowledge that, barring the always possible political surprise, he’s going to outlast Obama. But the president has two full years to pursue his misguided course with Iran, and to take forward those “other options” with the Palestinians. A lot of harm can come to Israel in those two years. Netanyahu owes it to all Israelis to ensure that our concerns are effectively conveyed to our most vital ally — via any and every means available, including the astute deployment of personnel who will get a fair hearing in the current toxic climate of relations. And Obama owes it to all Israelis to listen closely to those concerns, and to internalize that while Netanyahu ran a cynically effective campaign, he didn’t fool Israelis into re-electing him. Netanyahu’s win was the will of a deeply riven electorate, with all kinds of priorities, fears and biases — some troubling, most entirely legitimate. His win was a case of democracy in robust action — a process that, in the entire anarchic, violent, ruthless Middle East, could only have played out in the island of true democracy that is Israel. Which is why America, and even its testy president, should want to have our back.